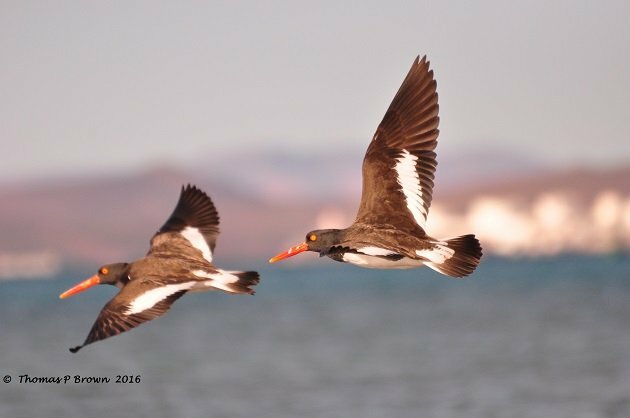 Having grown up and spent the majority of my birding life in the Pacific Northwest, it was not uncommon for me to see Black Oystercatchers, wandering the rocky shores of the Pacific Ocean. 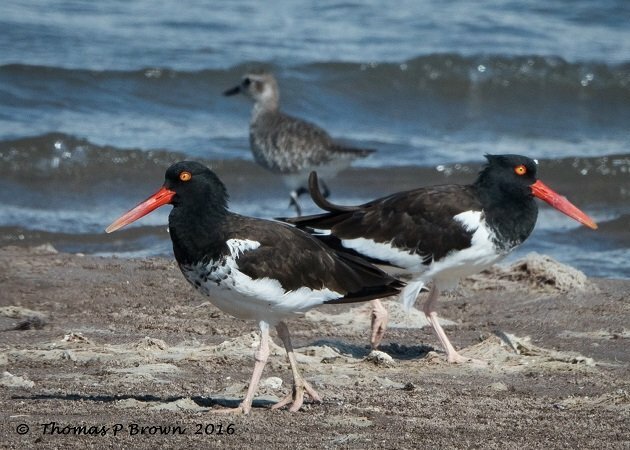 Their solid black bodies, and reddish orange bills, have always been one of the highlights of coastal birding up north. 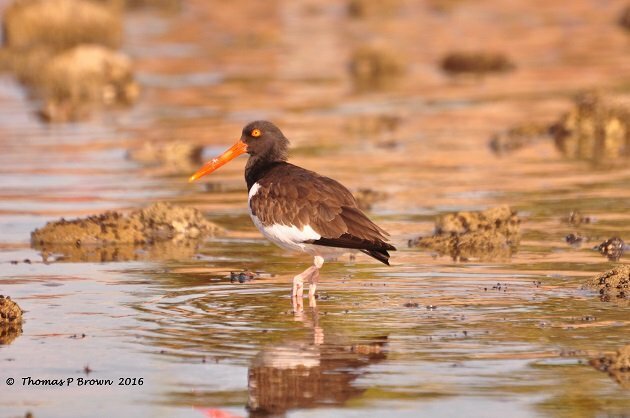 When we sailed to Mexico, I discovered a whole new species, the American Oystercatcher Haematopus palliatus. This vividly colored bird, is seen from the northeast coastal areas of the US, down to Florida. From Southern California, thru Mexico to Chile. The distinct black and white body, is quite easy to identify, while it wanders the rocky shorelines and shell strewn beaches. They are quite often seen in the company of other shorebirds. 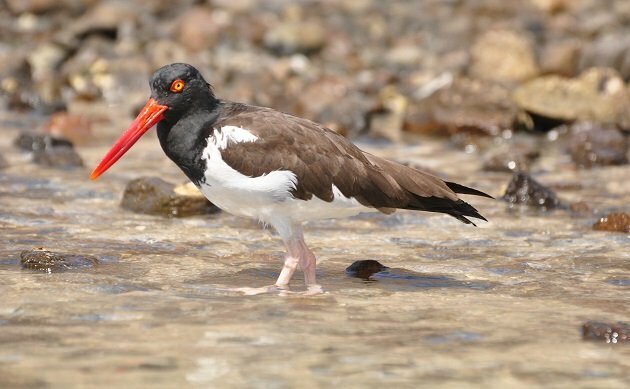 There are only two subspecies of American Oystercatchers, the (H. p. galapagensis) which is only found on the Galapagos Islands, and the (H. p. pallistus) which show some slight color variations depending on the location. The Atlantic Coast birds tend to have a bit more white on the wings and rump, than the western Mexico birds do. 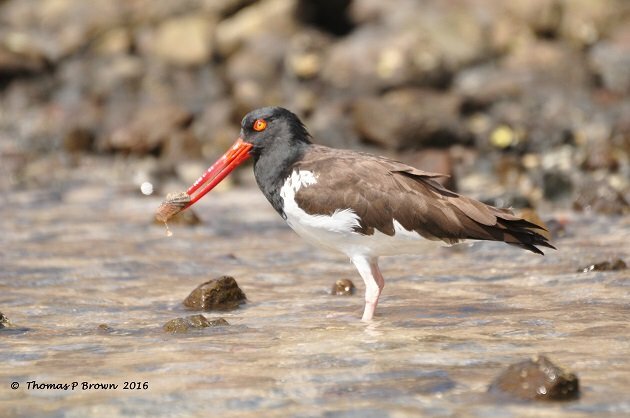 Using their powerful bills to pry them open, their primary food is the different bi-valves, and oysters that they find in and around the rocks. Being a bit opportunistic, they have been seen eating worms and other insects as well. Pat and Wendy..thank you very much!